The SUU Music Masterworks Series will host the fall Wind Symphony Concert on Friday, November 2, 2018 at 7:30 p.m. in the Heritage Center Theater. Tickets are $10 for adults and $5 for youth. Southern Utah University faculty, staff, and students are free with a valid ID card. Faculty and staff IDs are allowed one guest. 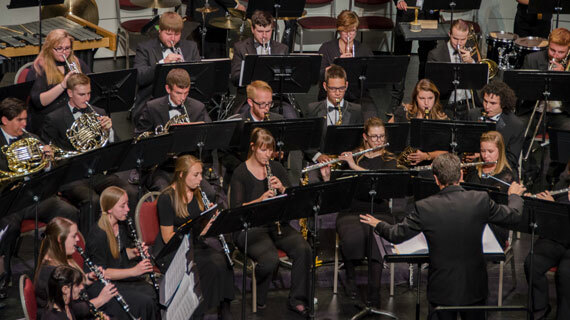 Tickets can be purchased at the door the night of the concert or online at the SUU College of Performing and Visual Arts website..
Support the hard work of students at SUU by attending the Wind Symphony Concert. For more information about the Department of Music, please visit the Music Department website..